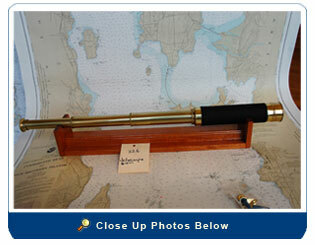 This is a high quality, French made, solid-brass, circa 1900 telescope. The optics are good for this period piece. 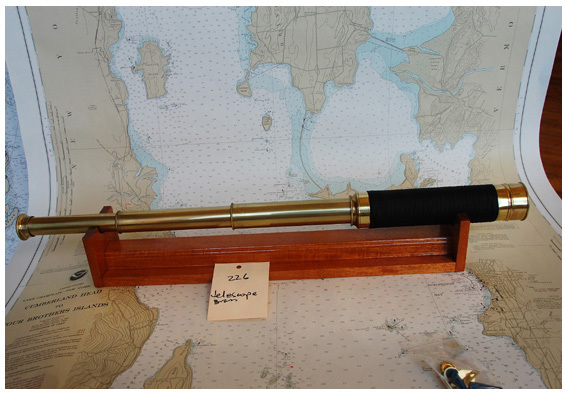 The scope was completely broken down (optics were cleaned); polished and sealed with brass lacquer… new black whipping was applied. The stand was custom made from Honduras mahogany and can be mounted on the wall (hanging hardware included) or sit on a flat surface for display. Size: 23” Extended and 9” closed.